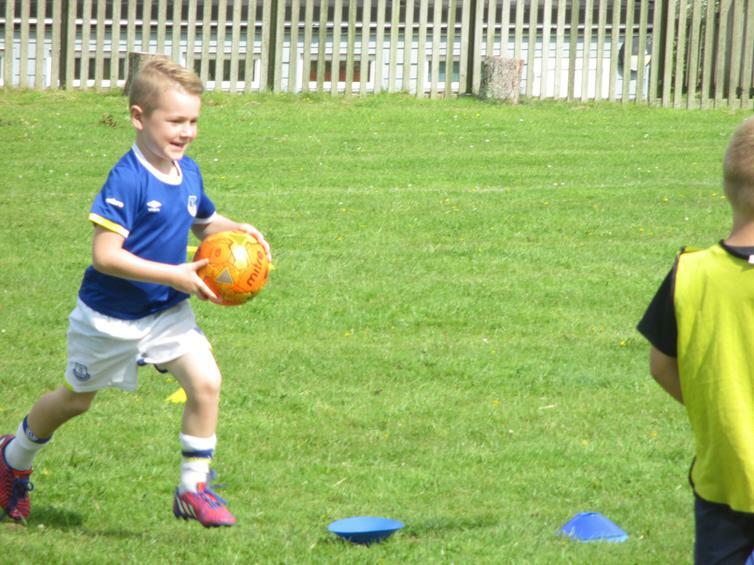 Football doesn't stop for the summer! 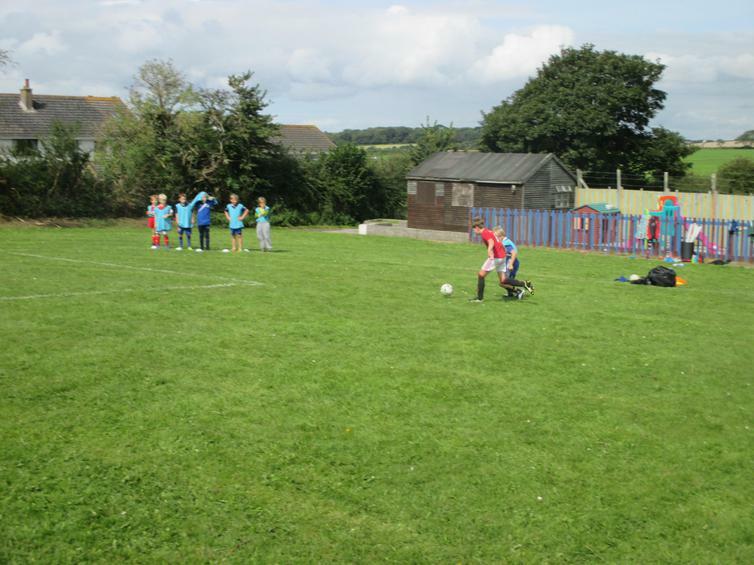 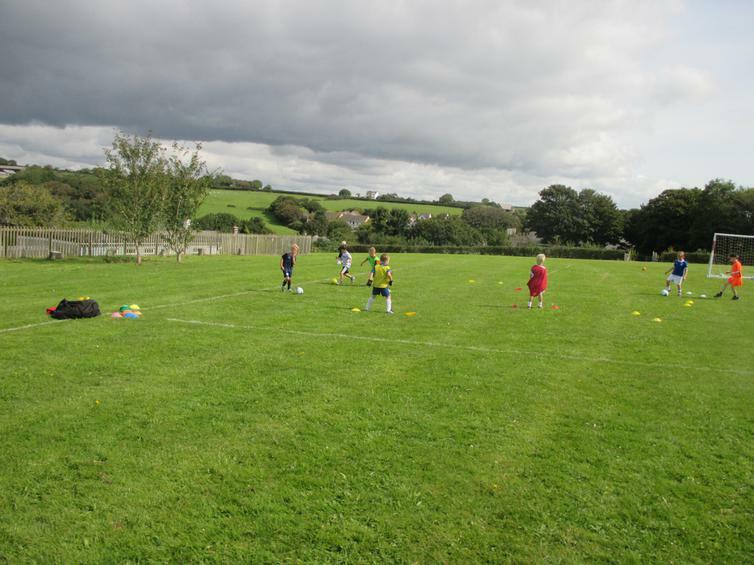 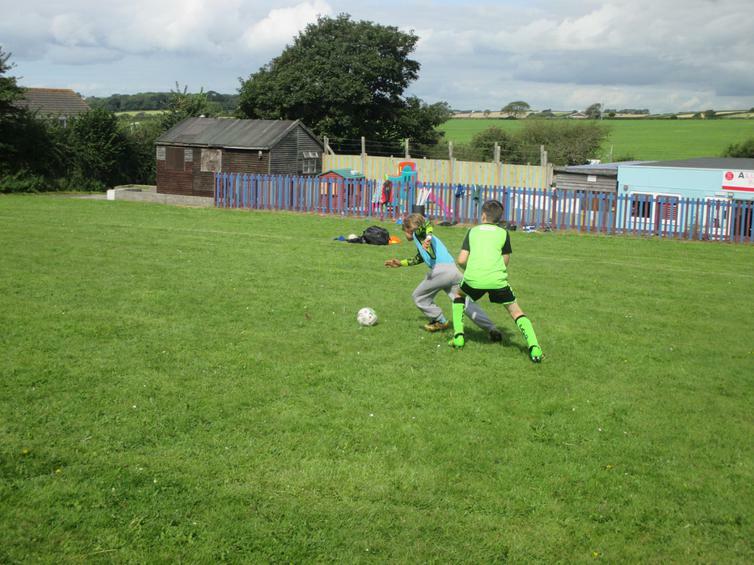 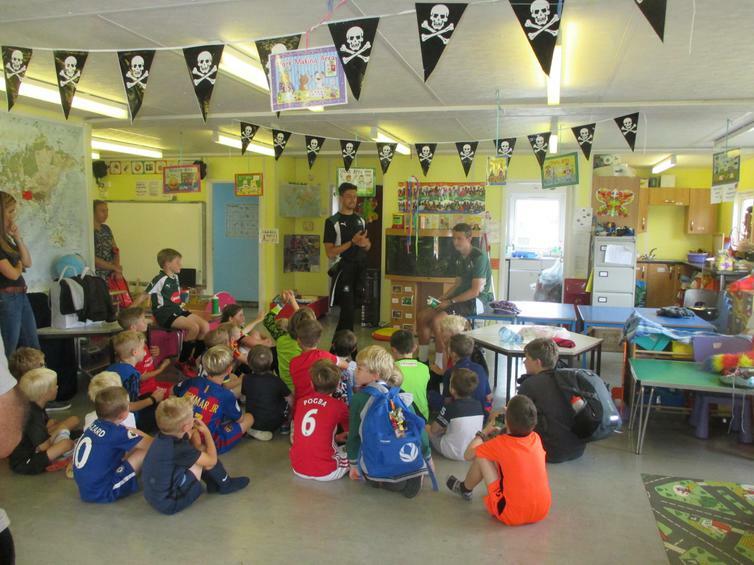 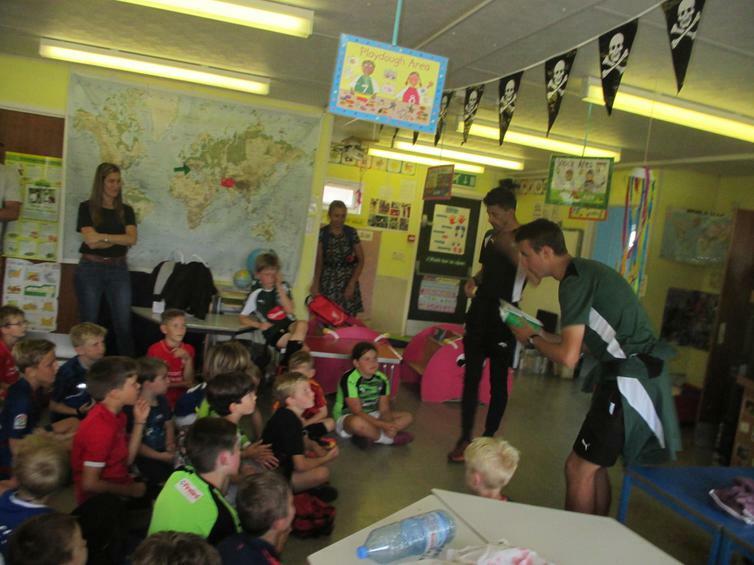 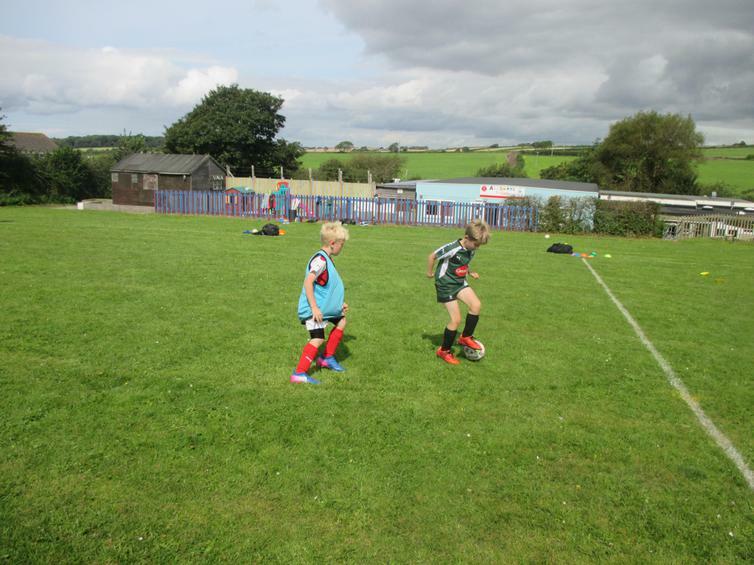 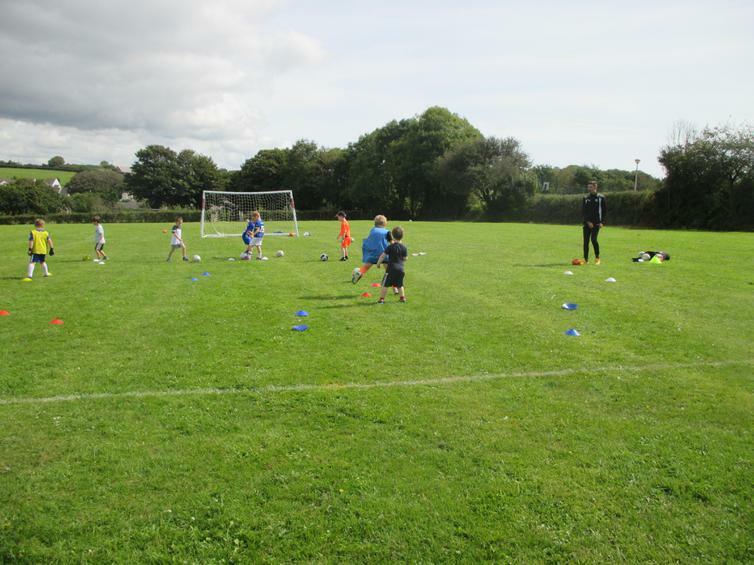 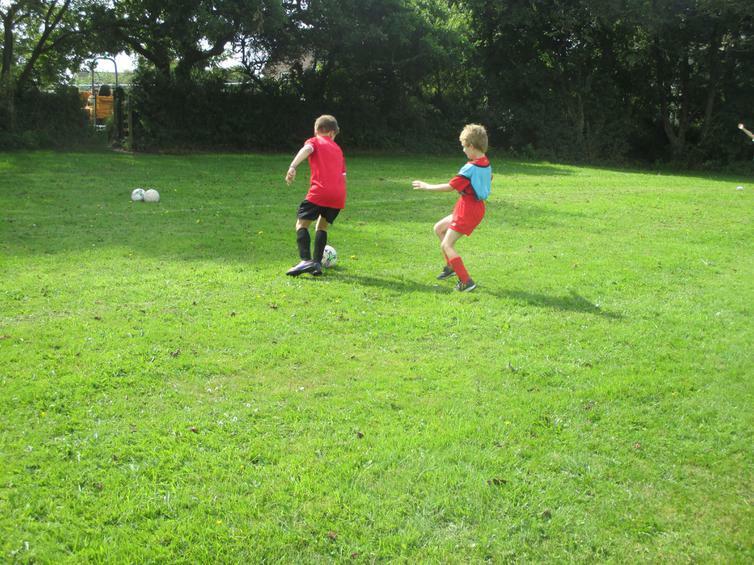 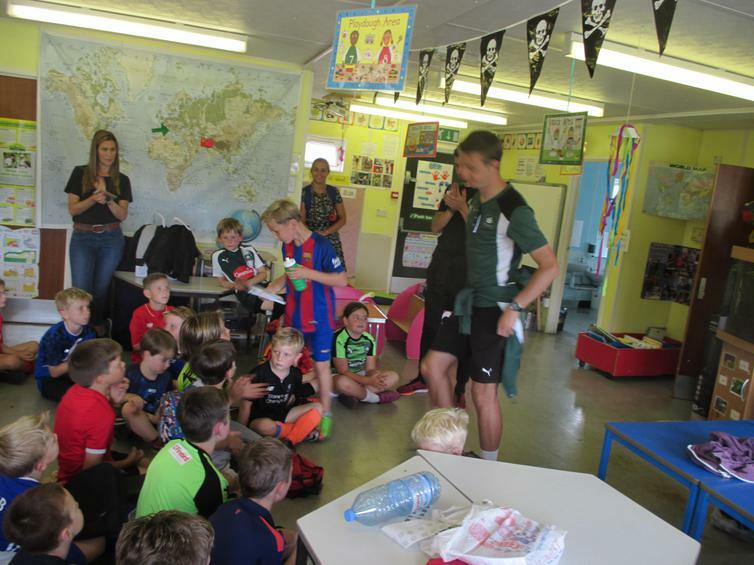 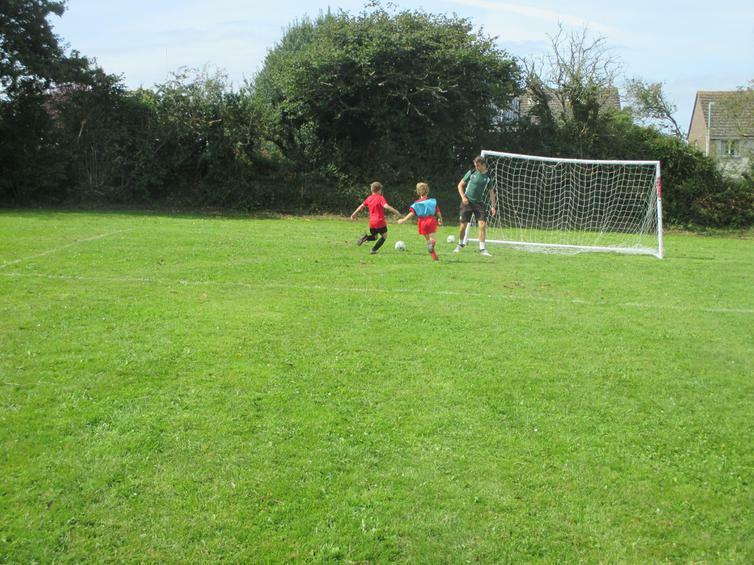 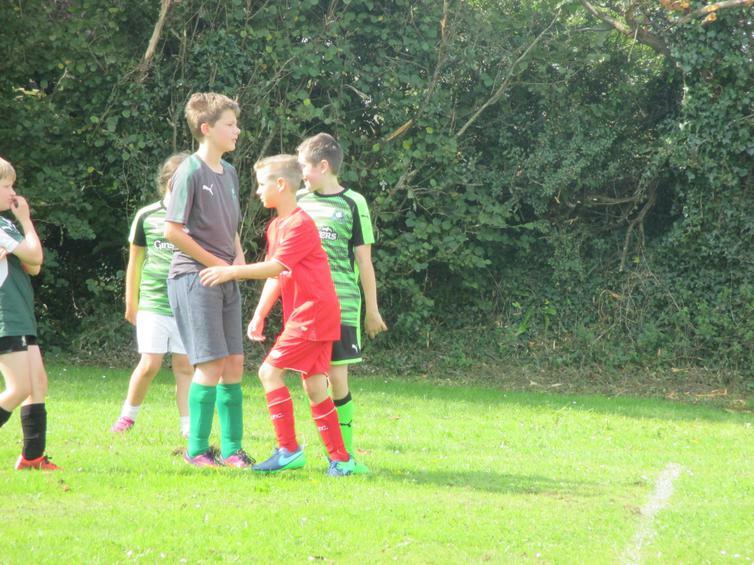 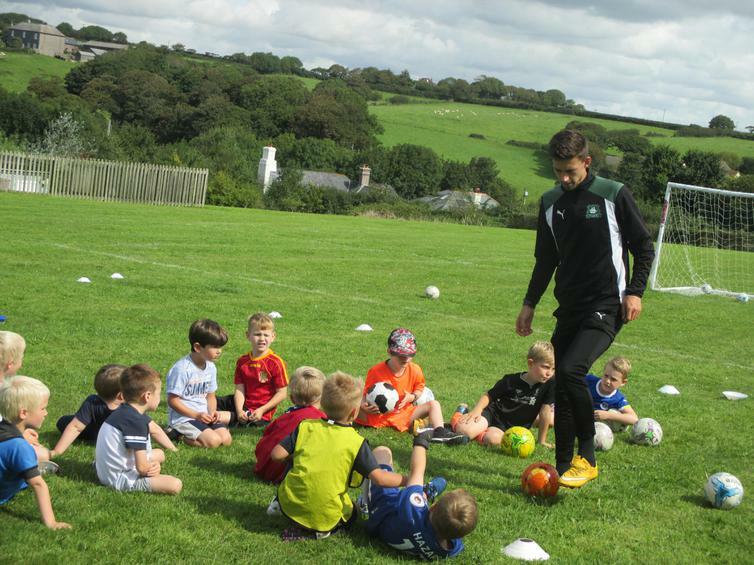 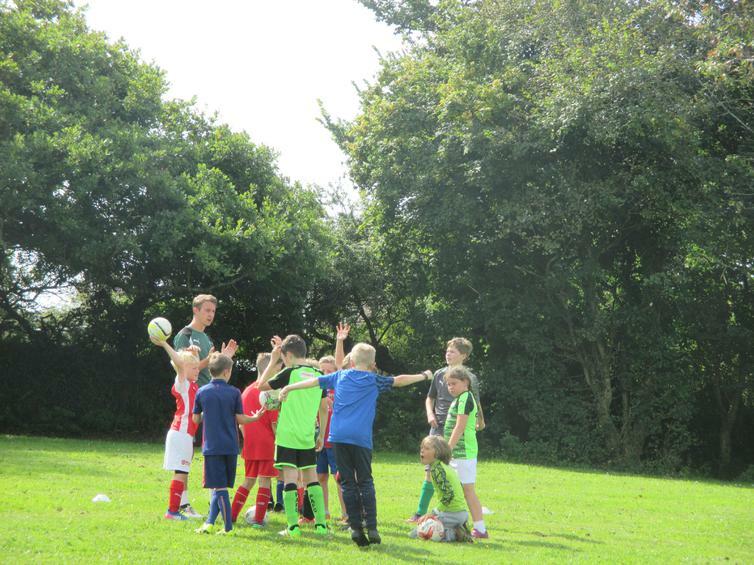 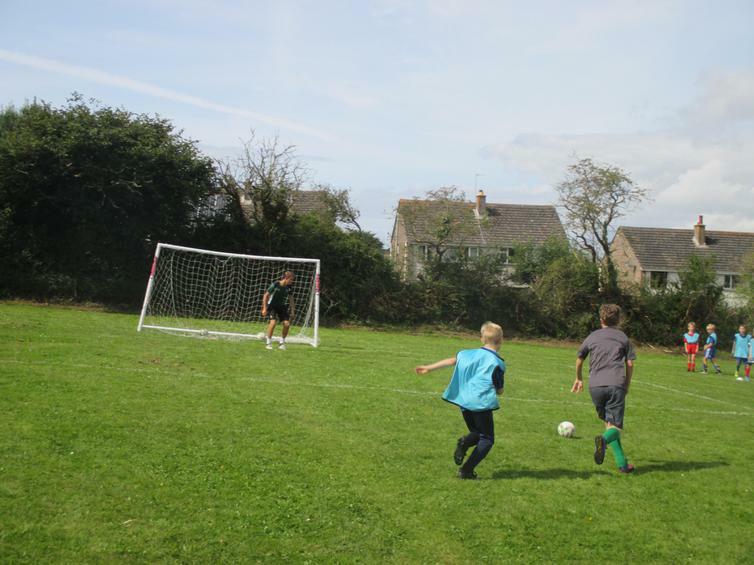 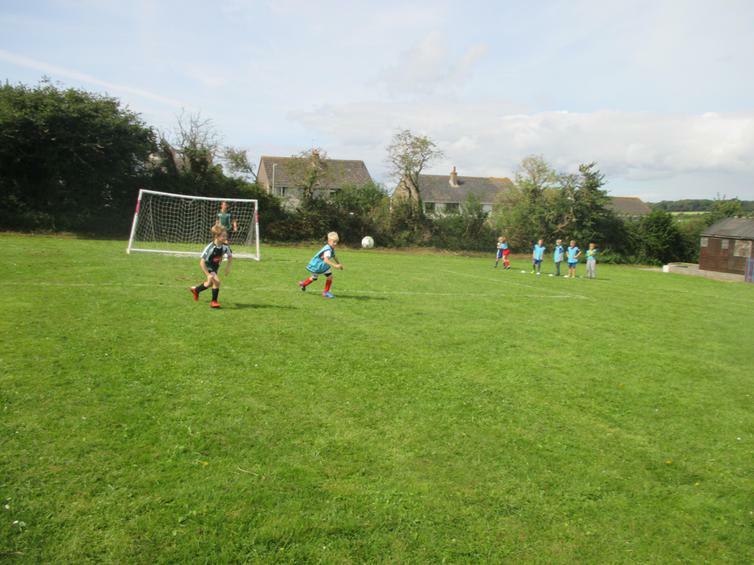 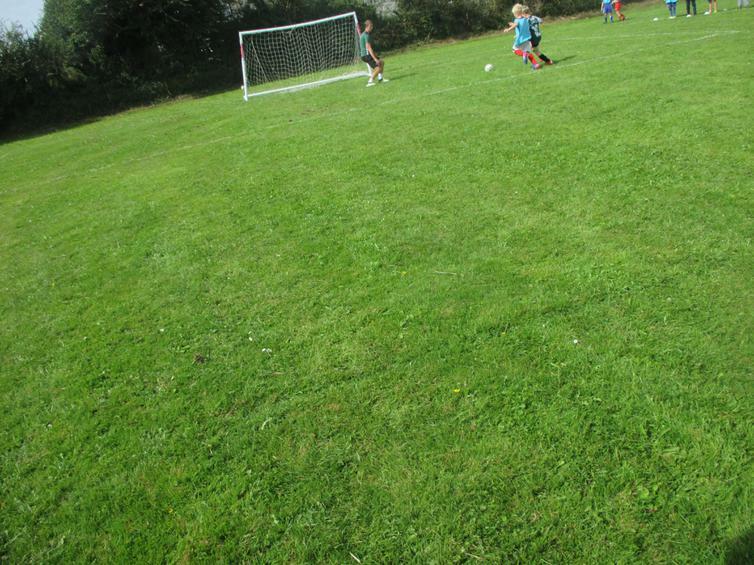 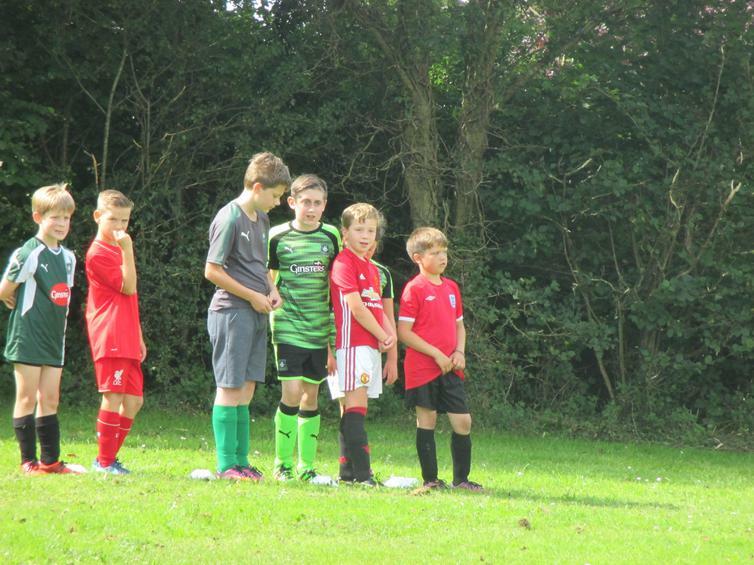 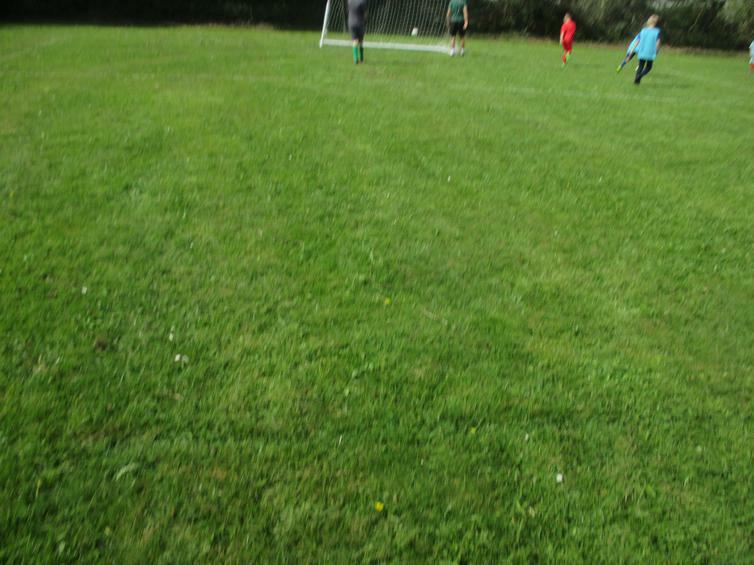 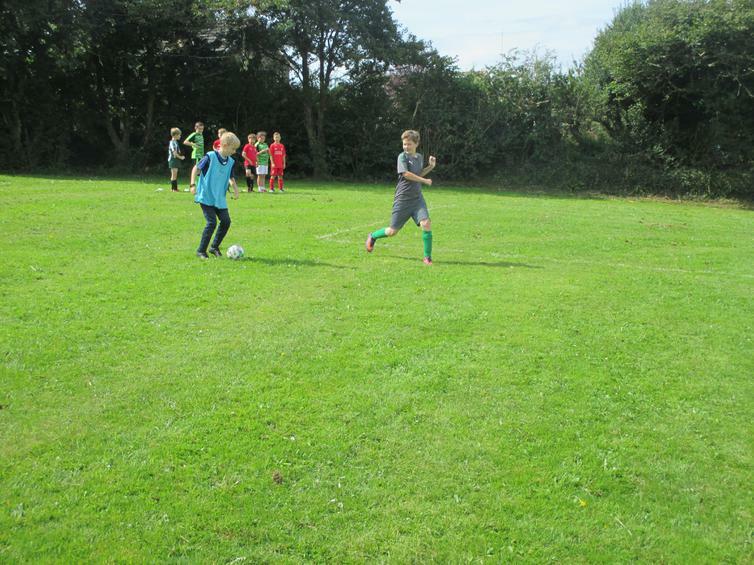 Wembury were proud to host a summer football roadshow run by Plymouth Argyle Community Trust this week. 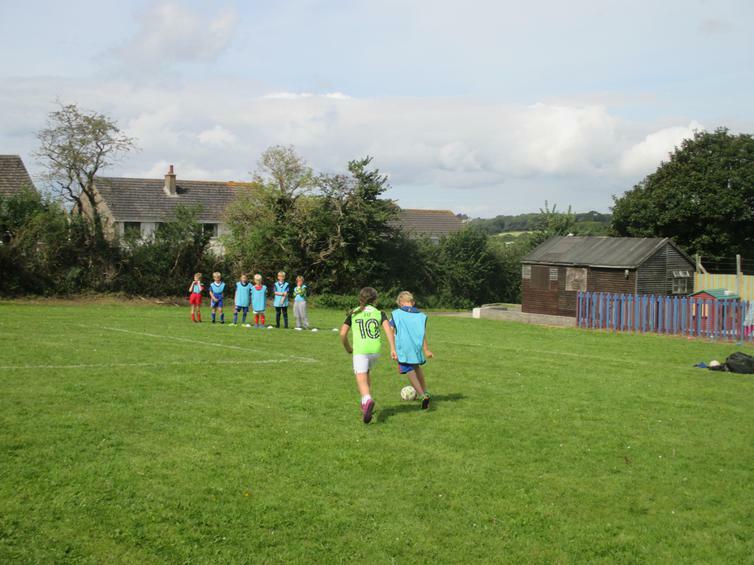 After a bit of rain first thing, the skies cleared and the sun shone down on all 24 children that attended the funfilled day. 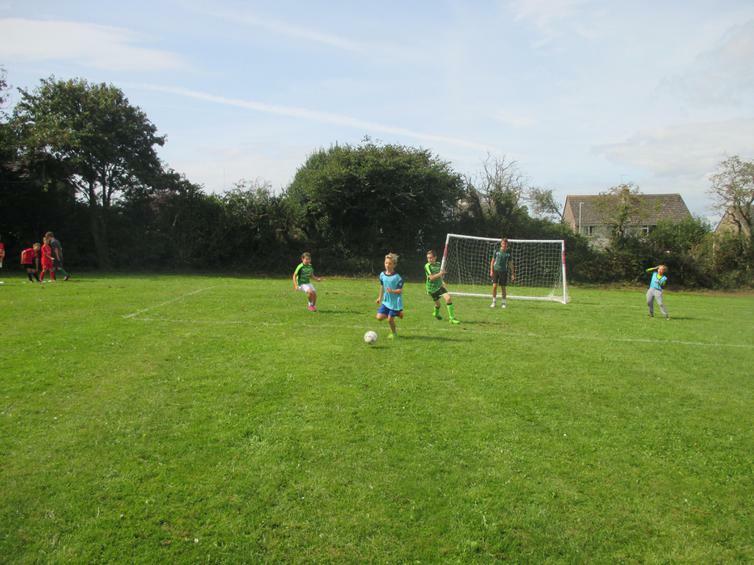 We were pleased to welcome a number of children from outside of Wembury to the event, which always adds to an occassion enabling children to meet new friends during the day. 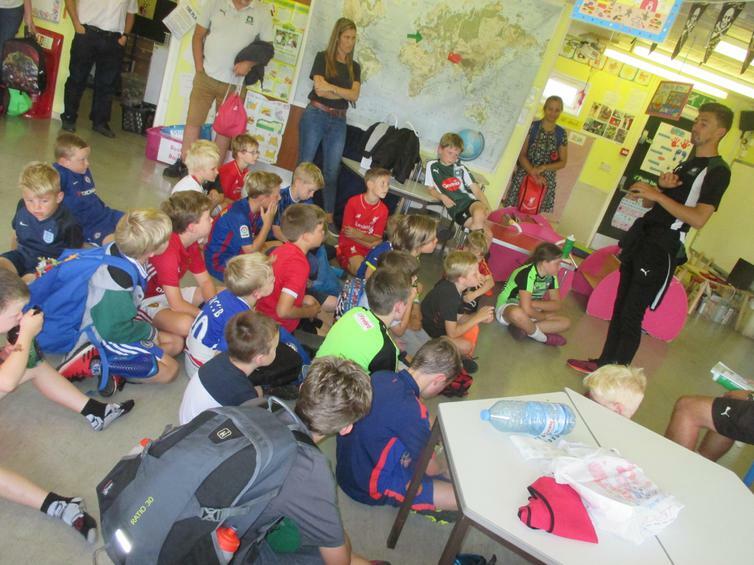 Much fun was had with some very happy, if not slightly tired faces at the end of the day - and that wasn't just the Argyle coaches, who did a fantastic job with the children all day keeping them welll and truly entertained, while encouraging a love of sport. 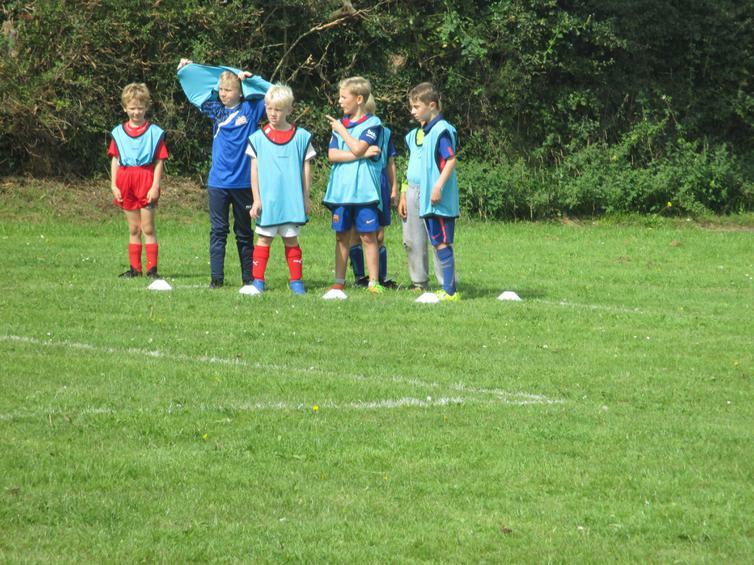 A very successful day which we hope will be the first many to come!